Jealousness USA Cosmetics from Eyecandys.com | Memorable Days : Beauty Blog - Korean Beauty, European, American Product Reviews. 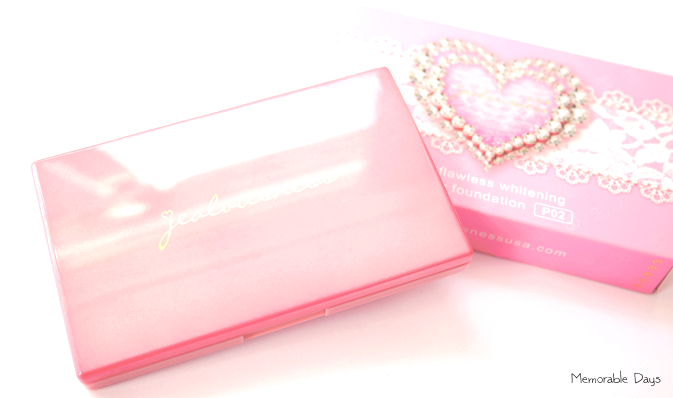 Who doesn't like cute, girly pink make up products huh?! 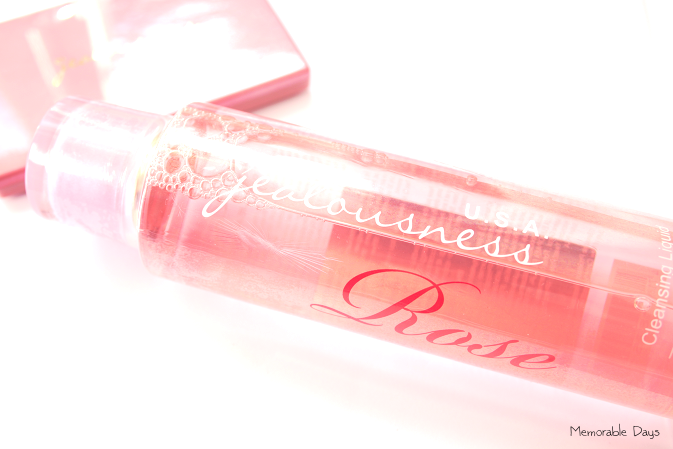 The packaging of the brand Jealousness USA is just too adorable! You might think that this brand comes from the US, but it's actually a Taiwanese brand. The makers of Jealousness knows that there is a little girl in every woman. They are combining sweet pink colors with diamonds to create that princess look on their packaging. Jealousness want girls to be happy when just looking at their packaging. That's why their slogan is: Jealousness color your life! This is an all-in-one cleansing solution. Quickly and gently removes all makeup on face, eyes and lips. It removes dead skin cells and tones the skin, making it feel soft and supple. It has an alcohol-free formula which will not leave your skin dry or tight! 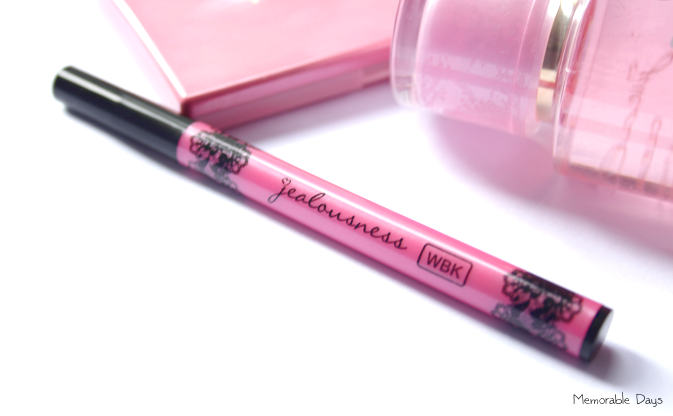 Taiwanese beauty bloggers are all raving about the new Jealousness Waterproof Eyeliner Pen! They are even saying that its better than the Dolly Wink eyeliner. With its soft, flexible brush, this product makes drawing precise, clean lines a breeze! Deep, rich pigment dries in only seconds and lasts all day without smudging thanks to the water-resistant polymer coat formula. Ideal for drawing cat eyes or winged eyeliner. Jealousness Pure Flawless Whitening Two-Way Foundation is a compact powder that naturally covers unevenness with a feather-light, silky texture. Its unique formula makes it easy to create a naturally flawless, pore-perfecting finish. Moisturisers keep skin looking supple without caking all day long. Three whitening ingredients creates radiant and beautiful skin from within. These products are send to me for review purposes.